I got a little problem. When i was trying to rig my character i weight painted with vertex groups. Now after i weight painted every single bone i got an issue on one hand. Its just one claw, all the others work as intended, but this one just doesn't move the way it should. The claw just doesn't want to move properly. When rotating it deforms itself in a weird position. 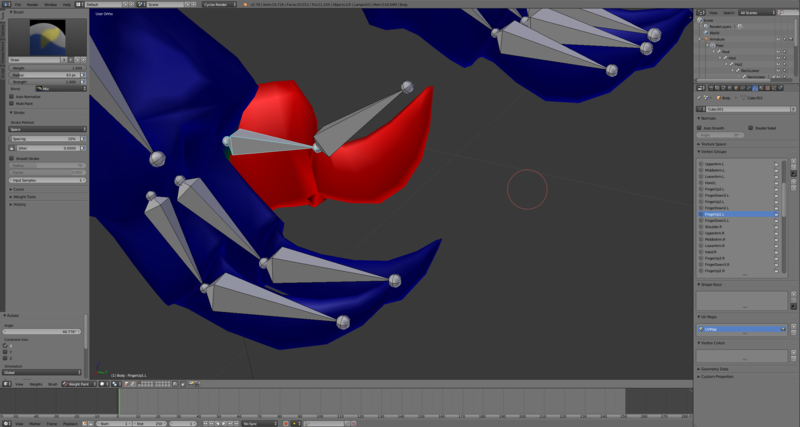 When rotating the other claws (which are the same (mirrored and weight painted)) they just move perfectly. Does anyone know what i am doing wrong? Select your mesh and go into edit mode. 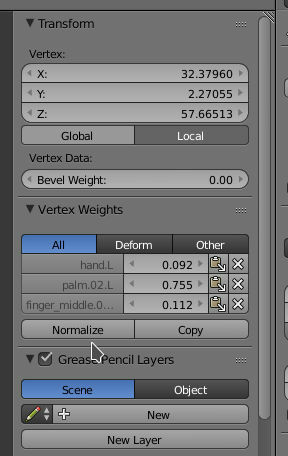 Select single vertices and check Vertex Weights right in the properties shelf (see screenshot below). 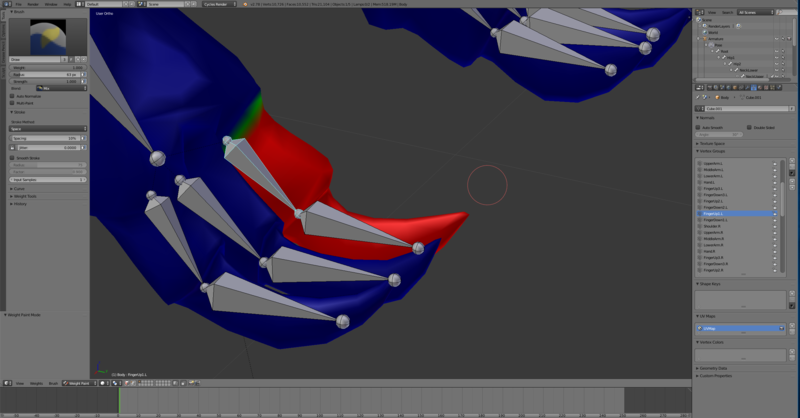 This way you can check for each vertex if it is influenced by an unwanted bone. Another frequent error while rigging is if your mesh is mirrored. For modelling this is great, but when animating it's better to apply the modifier first. Not the answer you're looking for? Browse other questions tagged rigging armature bones weight-painting vertex-groups or ask your own question. How to find out the cause of a wrong weight paint? Why do my object collapses when moving armatures?